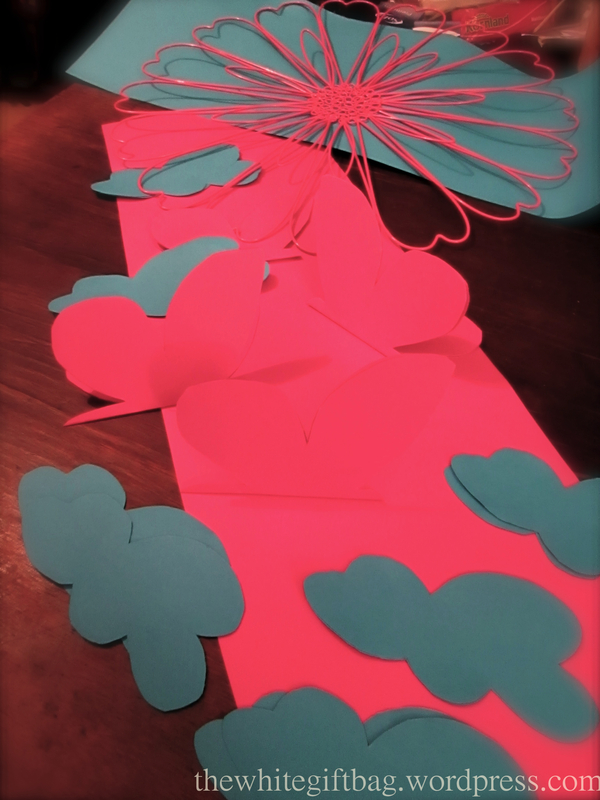 Cut off a 15cm strip of the blue paper, draw a cloud on it and fold, so you can cut out multiple layers at once. 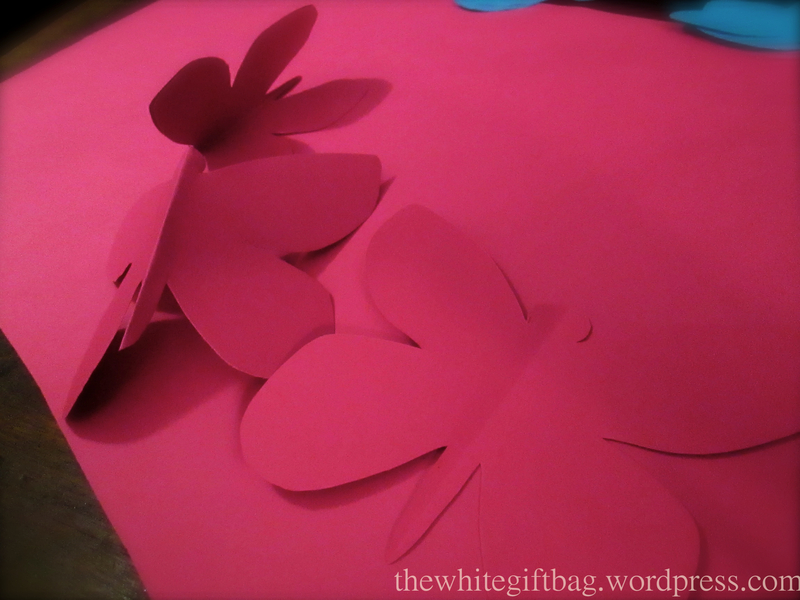 Repeat the process to cut out the butterflies. You'll need an even number of cut-outs because we're gonna glue two together. 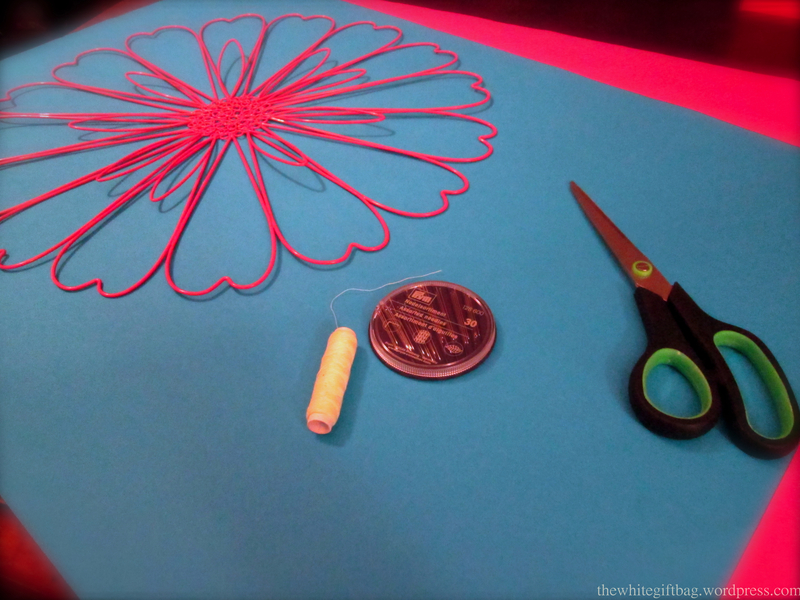 Put a long piece of thread between two clouds and glue them together. 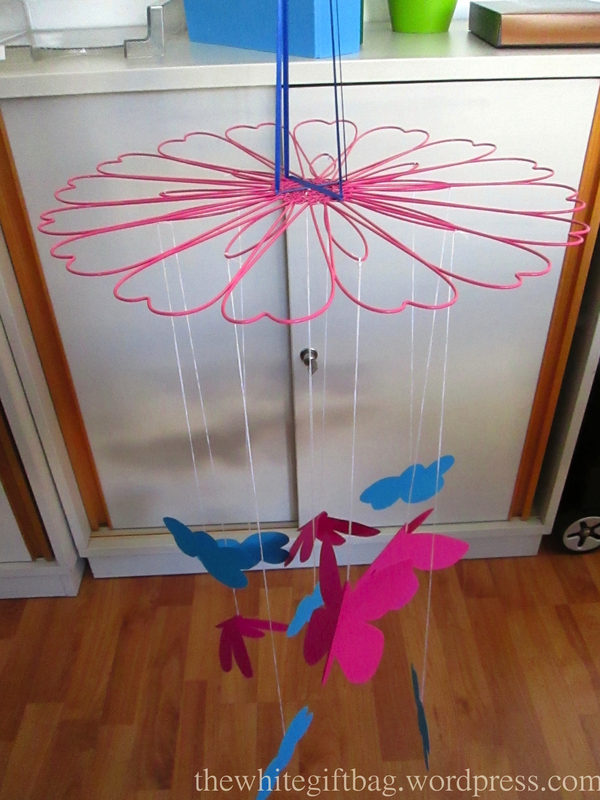 I found it hard to find the best position for the thread for the butterflies. 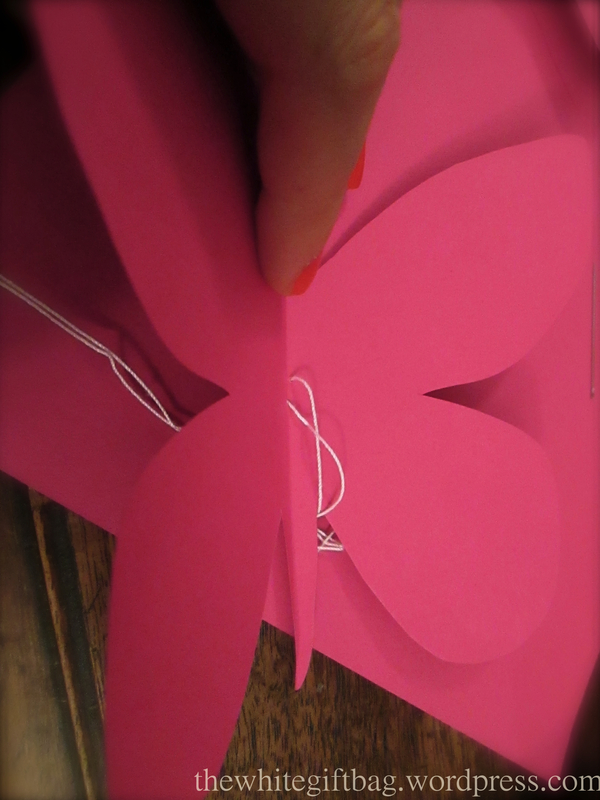 With the help of a needle I put it through one butterfly so that part of the thread would be invisible. 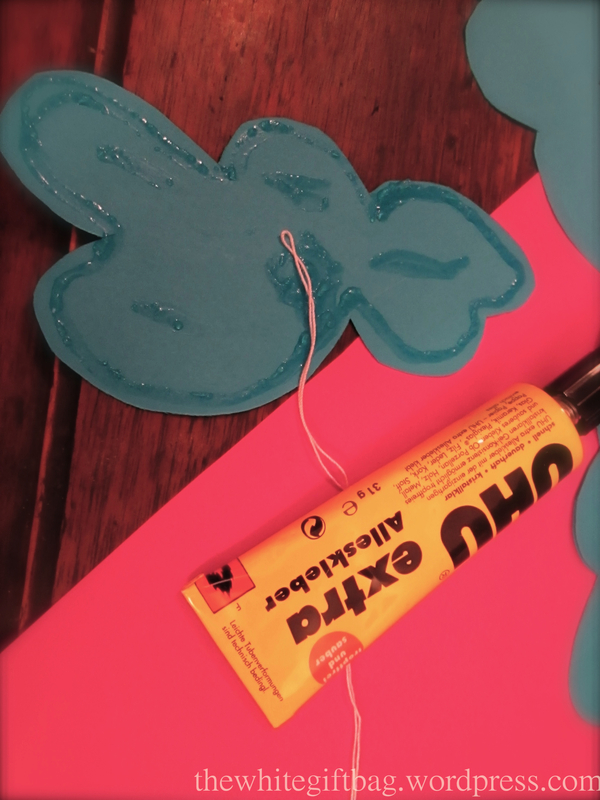 Then I glued a second butterfly to the side where the thread was showing. I thought it was a good idea and it turned out really nice! What do you think? I'd love to see your feedback in the comments below.